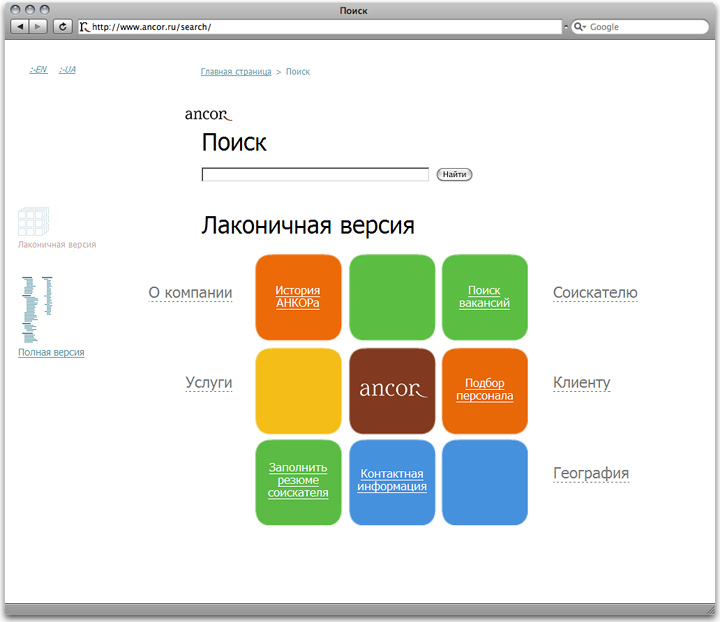 Problem: Redesign the existing site. 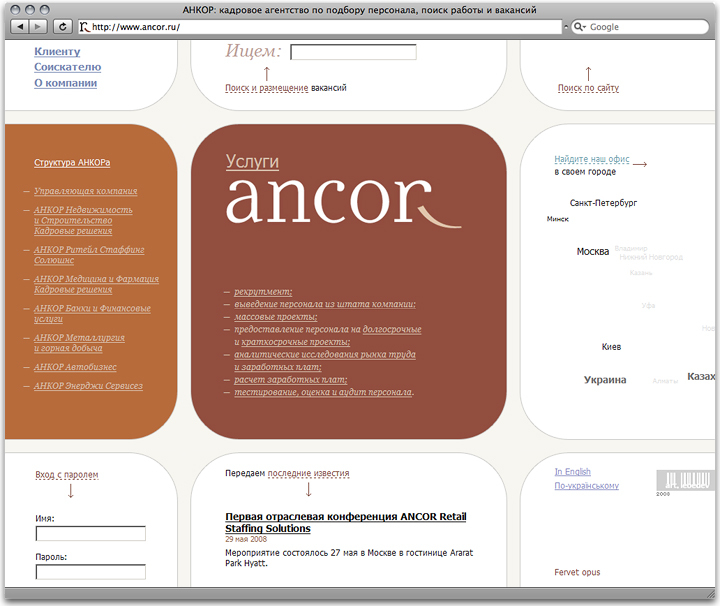 The first Ancor website was created by the Studio in 2004. Since then, the company has grown, and the site no longer met their needs. The new version was supposed to present the holding’s key offers in such a manner that it would spare the visitors much search efforts. 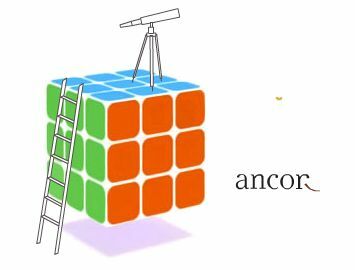 The site is built aruond the Rubik’s cube idea—it demonstrates Ancor’s willingness and ability to solve any HR puzzles. 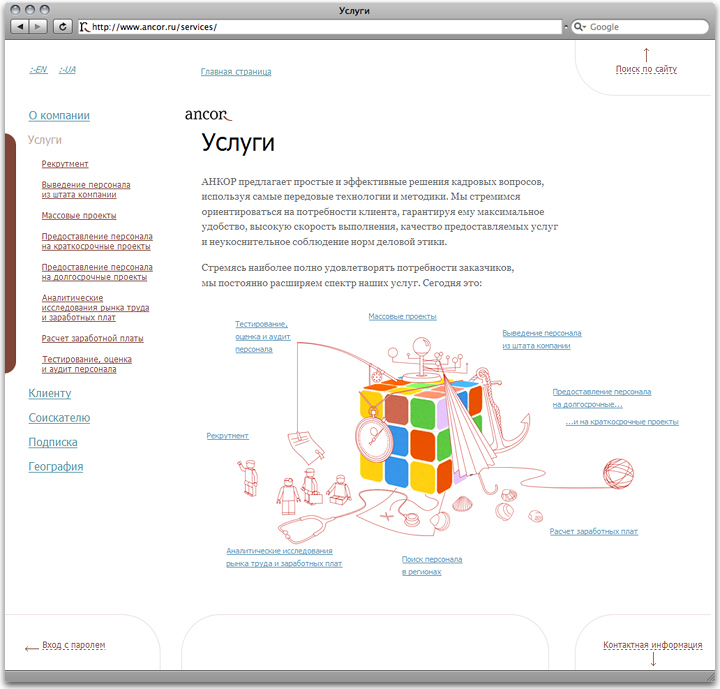 There are two website map views: the complete one, which is a regular list of all pages, and the compact version, designed as a flash cube that allows you to browse the main sections. All the mixed up cubes you may see on the site are easily solved with the help of Ancor.